Dozens of Israeli soldiers invaded, on Monday at dawn, the al-Jalazoun refugee camp, north of the central West Bank city of Ramallah, searched homes and abducted one Palestinian. 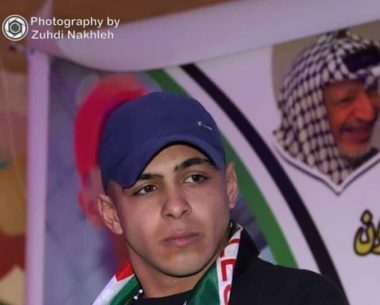 The Palestinian Prisoners’ Society (PPS) has reported that the soldiers conducted violent searches of homes, and interrogated many Palestinians. The PPS added that the soldiers abducted a young man, identified as Mojahed ash-Shanni, 20, and took him to an unknown destination. Many Palestinian youngsters protested the invasion, and hurled stones at the soldiers, while the army fired gas bombs and rubber-coated steel bullets.